Belongs to Integration Alert Category. 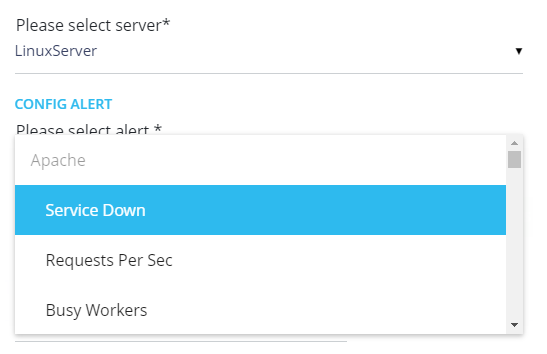 To get notified when your Additional (Configured) Service is not reporting data, you can set this Alert for that Service. For this alert, “Condition Persists” option is recommended while setting Alert Action.